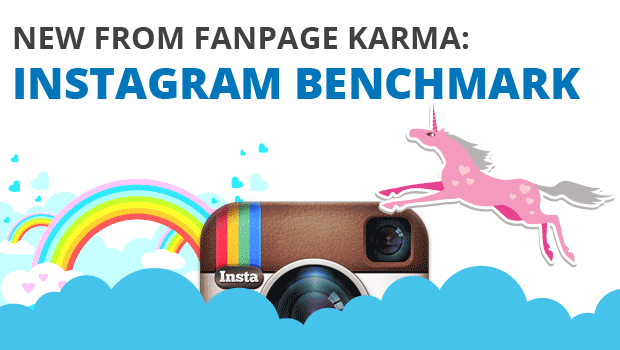 Obviously no Instagram analysis is complete without benchmarking. As with all other networks that we support, you can not only analyze your own profile with a few clicks, but also the profiles of competitors or interesting industries. 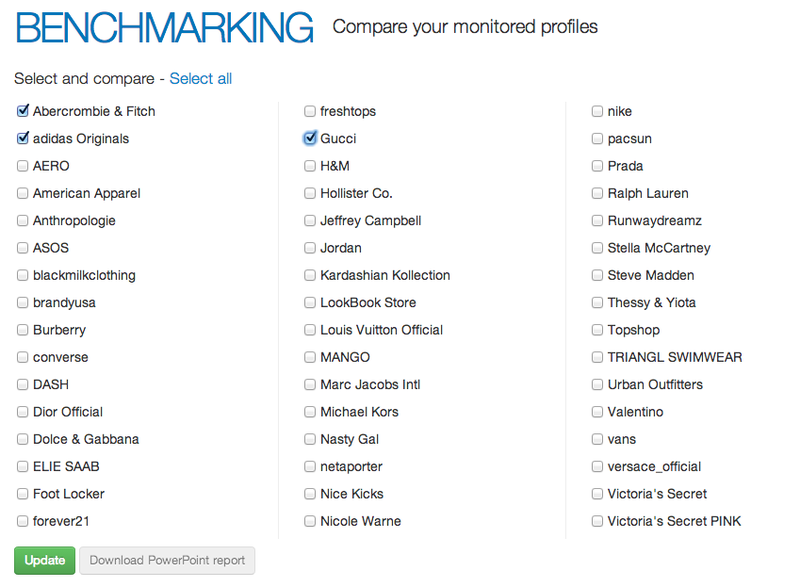 Just as you wish: Compare as many or few profiles as you want. Here you can set a free time range for your analysis. Now you get to the detailed evaluation of the selected profiles: How often did they post and which posts performed especially well? Here you can also find out which images, videos and hashtags caused most reactions and which words were used most often. Additionally, you can search through all posts by any desired terms. Post-Performance and frequency at a glance. 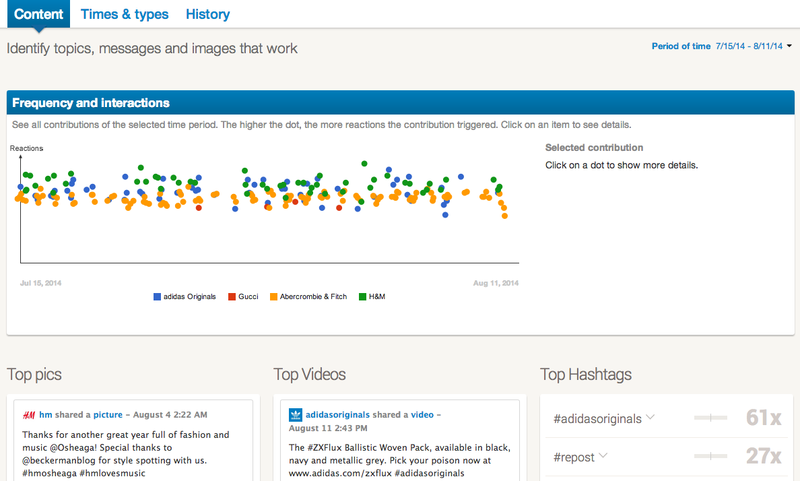 With the help of the Times & Types analysis you can dig even deeper into the posts. 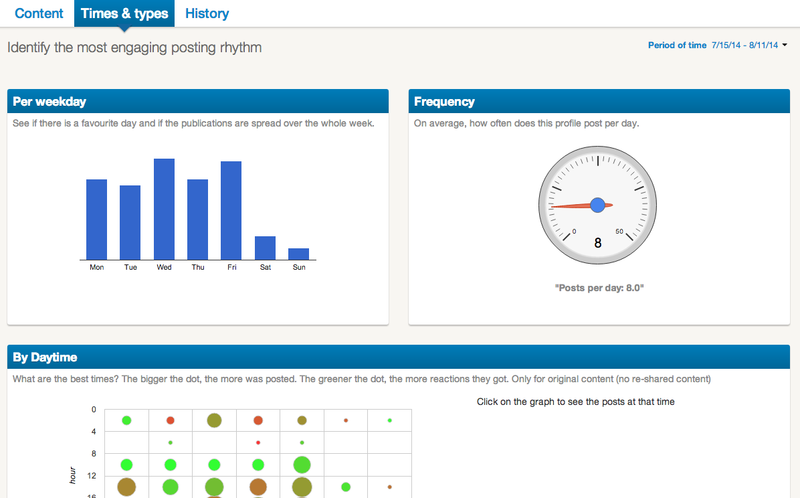 You can determine on which days most posts were shared, which days and times performed especially well and how high the average frequency of posts is. The analysis by Daytime shows, which posts caused many reactions at certain times. The Attachments analysis shows, whether a profile posts more images or videos. 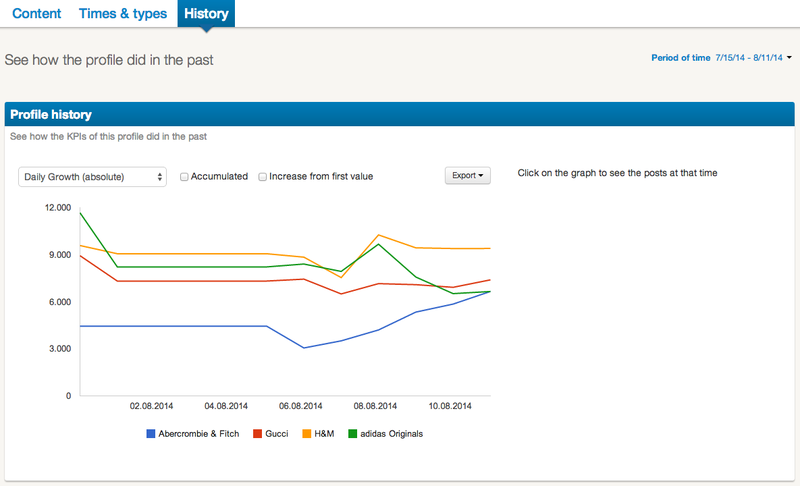 With the Post Types analyses you can find out, how high the ratio of interactions is for the given profiles. There has to be an unclaimed spot… Or a better one? Whoever wants high up sometimes has to compare to others. Of course you can also customize all reports and export them as Excel- or PowerPoint files. You want to take your Instagram activities to the next level? Try the extensive analysis for Instagram!